Raising children is often one of the greatest joys for parents. Watching them meet their developmental milestones, develop their own personality and anticipating the change they may create in the world may be some of the greatest gifts to parents. Raising children comes in many forms: adopting, fostering and giving birth. Parents do not have to be biologically related to their children to experience parenthood. November is National Adoption Month. There are more than 400,000 children in United States foster care, according to the latest data from the U.S. Department of Health & Human Services’ Children’s Bureau. 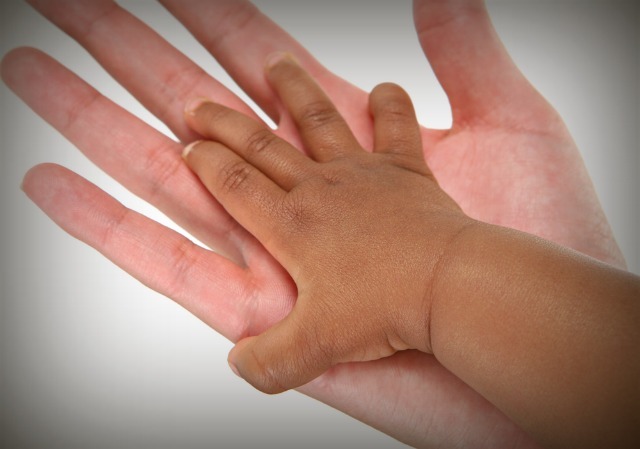 An even greater need exists in international adoption. Children are up for adoption for a multitude of reasons: Their parents are deceased, the children were abandoned or they are wardens of the state due to poor parenting. Babies are found in dumpsters alive and are brought into the foster care system. Mothers addicted to drugs often have their newborns taken away after birth. Overseas, many mothers cannot afford to take care of their children and may be in poor health themselves. Adopting a child takes an enormous amount of work, dedication, luck and money. Regardless of whether it is a domestic or international adoption, there are many hoops to jump through to have custody of a child. Adoption can change a child’s life and their parents’ lives for the better, but studies have shown this life-changing decision can be risky. Most children who are adopted flourish into mentally and physically healthy individuals. They learn to assimilate themselves into their new surroundings and adjust without many challenges. Greater challenges, such as language and cultural barriers, occur more often with international adoptions than with domestic adoptions. A study at the University of Minnesota found that adopted children have almost doubled odds of having contact with a mental health professional and having a disruptive behavior disorder. About 14 percent of adopted children are at risk for developing a mental health disorder by the time they reach adolescence, reported Kathleen Kingsbury in a Time article. Many of these children are not nurtured, are deprived of basic needs and many have a congenital disorder secondary to maternal substance abuse, such as fetal alcohol syndrome. “After she and her husband brought Jesse, 4, home to Atlanta, Georgia, she lamented the decision. The boy immediately latched onto Greene, never allowing her to disappear from his sight. He threw temper tantrums when she wasn’t in his line of vision and once tried to run through a glass door to stop her from leaving the house. It wasn’t the boy’s fault, Greene said. But she felt depressed and overwhelmed just the same,” according to Madison Park in a CNN news article. Interestingly, the same study by the University of Minnesota found that children from domestic adoptions are more prone to act out, while children from foreign adoptions internalize their feelings and adapt better to their environment, but have an increase in depression. ADHD and oppositional defiant disorder are two common disorders seen among children from domestic adoptions, and the younger the child’s age at adoption, the less risk for mental illnesses to develop. It’s a difficult path and parents must be warriors to be successful in the journey. Patience, counseling and a nurturing environment are necessary. “More than 10 years later, Jesse is a 15-year-old, straight-A student and star basketball player,” the CNN article continued. “Greene adopted four more children – all are from Ethiopia and were orphaned after their parents died from complications of HIV/AIDS. In all, her family is made up of four biological and five adopted children – large enough for a sports team. They all get along, but family life takes work, she said. Sovereign Health is a leading national behavioral health care provider with facilities across the United States that treat adults and adolescents with mental health, substance use and co-occurring disorders. For more information, please call our 24/7 helpline. Kristen Fuller, M.D., is a senior staff writer at Sovereign Health and enjoys writing about evidence-based topics in the cutting-edge world of medicine. She is a physician and author who also teaches, practices medicine in the urgent care setting and contributes to medicine board education. She is also an outdoor and dog enthusiast. For more information and other inquiries about this article, contact the author at news@sovhealth.com.